Invariably, this is described as a consultation with all the “stakeholders” in the game. Which tends to mean the broadcasters, the sponsors, the players and the counties. And, fair enough: all of them are important. But the group that is overlooked is the spectators. Despite the fact that they indirectly pay the wages of just about everyone involved in the game – the players, the administrators and the media – they are, all too often, taken for granted or even exploited. Part of the problem is that cricket is run by cricketers. Or at least ex-cricketers. And that means it is run by people who have, all too often, forgotten what it’s like to pay to come into the ground. It’s run by people who have forgotten what it’s like to spend a considerable proportion of their most precious asset – their holiday entitlement – on watching a team that provides no guarantee of success or even entertainment. Hell, there isn’t even a guarantee of play. It’s run – and commented upon – by people who often sit behind glass, benefit from heating or air-con, a free lunch, free parking and free tickets. It’s run by people who have, all too often, forgotten what it’s like to be a spectator. 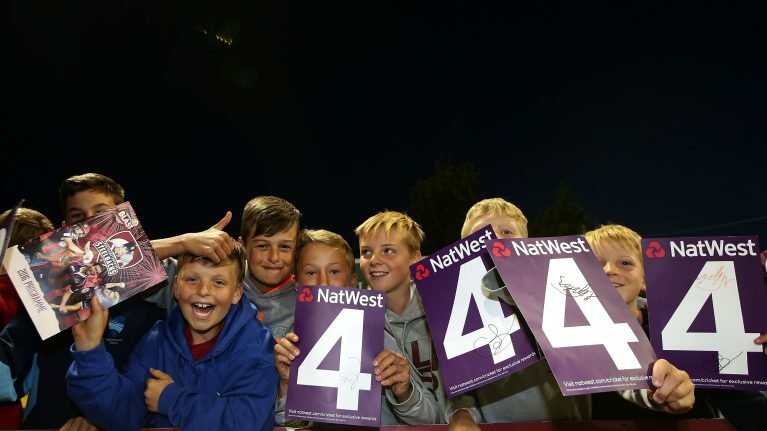 The tangible aim of the Cricket Supporters’ Association, therefore, is to persuade the ECB to accept a supporters’ representative onto the ECB board to ensure they can be consulted and considered at all times. The less tangible aim is simply to remind everyone – the umpires, the players, the schedulers etc – to think about the spectators a little more. To ensure their views and priorities are at least considered when major decisions are being taken. It’s meant to be a spectator sport, after all. In time, the ICC and other national boards should invite similar representation. It won’t weaken them. Instead it will provide them with greater insight into the thoughts of spectators and allow them a relatively straightforward way to canvas views and gain feedback. It should benefit everyone. We are, the vast majority of the time, all on the same side. For it to work, though, it needs your support. It needs to demonstrate that it fairly represents a meaningful number of spectators and that it has no ulterior motives. Ultimately, it needs you. I therefore urge you to support it and to get involved. It’s your association. Without a thriving amateur game, backed by an engaged and energised army of paying supporters, the game in this country doesn’t mean a bean. It’s the clubbies and fans – so often one and the same – who hold it all together. Who form a body of cricket lovers demanding to feel respected and listened to. 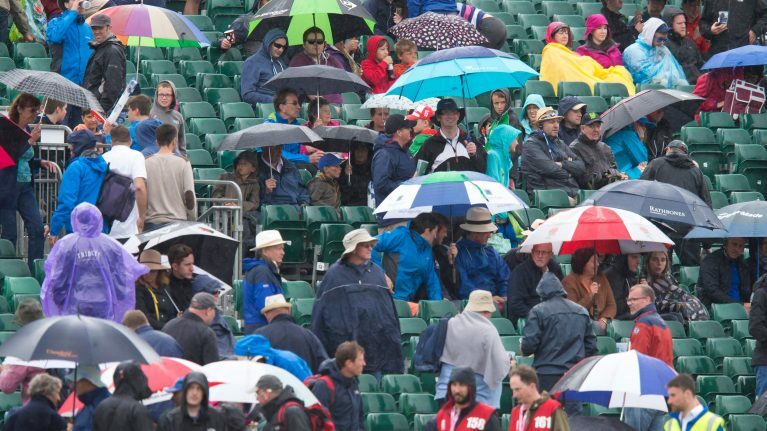 Who ensure that all that staged madness at Edgbaston, Cardiff and Leeds has some way of rooting itself in the realities of ordinary people’s lives. Clubbies and fans? The lifeblood of the whole show. And listen closely. You can even hear it, beating in the hearts of all our volunteers, giving their lives to the clubs they love. And listen again. Because it’s there in our oldsters, plonked these days on their favourite benches, looking out on the field of play – be it Lord’s or the local – to reflect on the fruits of their labours. And it’s there in our young ‘uns – running, drinking, laughing, putting money behind the bar and through the turnstiles. It’s there in the parents, taking a punt on a cricket club coaching session before, with a deep breath, shelling out the inevitable tickets to a big game. It’s there in our coaches, striving manfully to debunk the most complex and beguiling game of them all. It’s there in all of us, in our builders and students, our strippers, coppers, nurses, judges and scoundrels, all of us entwined, across age and gender, united in cricket. For too long, English cricket took its greatest assets for granted. When the ECB carried out its own research in 2014, they uncovered some chilling trends. Among children aged between seven and 15, only two per cent ranked cricket as their favourite sport. Even worse, when asked to name ten sports, three in five of those kids made no mention of cricket at all. Those figures, combined with the headline shocker that the number of recognised club players had dropped from 908,000 to 844,000 in one year, caused shockwaves at the ECB. Things are happening. The fight is on. The ECB is now openly serious about growth and participation. Its new entry-level programme, All Stars Cricket, has already been adopted by over 1,750 clubs for 2017. Chance to Shine continues to do incredible work getting some version of cricket into state schools. The MCC Foundation has set up over 40 Hubs across the country, providing high-class free coaching to talented kids from less advantaged backgrounds. The National Cricket Conference continues to represent the interests of over 1,100 clubs. And then there are our supporters’ groups, rolling on, mobilising the troops as best they can, ferrying parties of fans around the country and overseas. Every fan, every player, every vote. The Cricket Supporters’ Association fits perfectly into this landscape. Giving voice to the most important people in the English game. Let’s hear you. ‘The ECB is looking into the possibility of using artificial pitches in its proposed new T20 competition. Keen to ensure the best-possible surfaces (for batsmen, anyway) for a competition seen as vital in attracting a new audience to the game, the ECB recently held a meeting with county groundsmen where the idea was discussed. ESPNcricinfo understands that Chris Wood, the ECB’s Pitch Consultant, has been charged with researching how to introduce such surfaces ahead of the launch of the competition in 2020. There are significant pros and cons to the use of such pitches. While it would likely result in a certain homogenisation of conditions and provide even less opportunity for bowlers to extract anything from surfaces, it would also enable grounds to provide the centre-wicket pitches required by broadcasters multiple times without concerns about deterioration. Artificial surfaces might also be considered to provide uniformity of conditions for both teams, which a turf surface will not always offer. Drop-in surfaces have also been considered but are not thought to be cost effective or provide quite the same uniformity of performance. 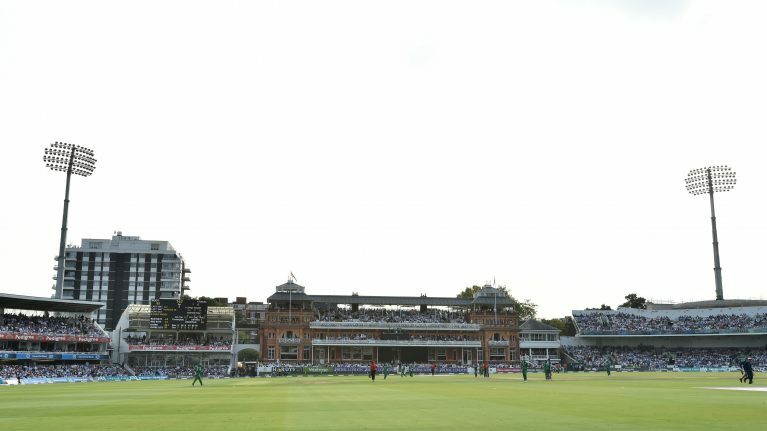 While long-term lovers of cricket may have reservations about artificial surfaces, the ECB’s mantra over the new competition is that it is not designed to appeal to those already watching the game: it is designed to appeal to the vast potential audience that is currently immune to its charms. 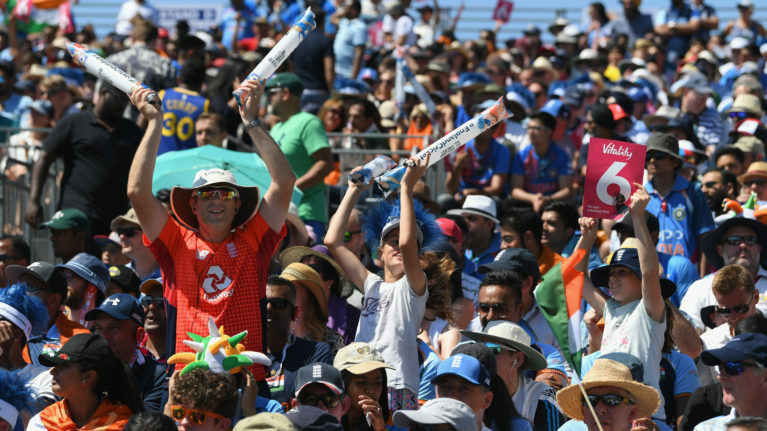 The ECB feels that providing such good-paced surfaces will help create the high-scoring, boundary-filled cricket it believes will attract that new audience. It might also minimise delays after poor weather. To that end, Wood is looking into the best options and cost implications of laying such pitches close to the middle of squares in all first-class grounds’. What do you think? Get involved and leave a comment below. The new England vice-captain can be found on www.ecb.co.uk talking about Test Cricket and the importance of the fan to the game. “Test cricket is the pinnacle and we need people to fall in love with it again. We need to win but we want to perform in a manner that makes people want to come and watch us. In the interview, Stokes is looking back to the Test against New Zealand at Lord’s in May 2015 – a stonker of a match which saw thousands of fans including lots of kids queuing for a ticket on the final day. Stokes went onto say, “I’d never seen it like that. There had been runs galore in those first four days, something was always happening – people wanted to see us play exciting cricket. I will always remember that, we got people to notice Test cricket and we need to do that again”. Is Test cricket the pinnacle for you? Get involved and let us know what you think.